This 135-acre, 1 million plus square feet Village will be an authentic Town Center on Route 33 in Manalapan, NJ. 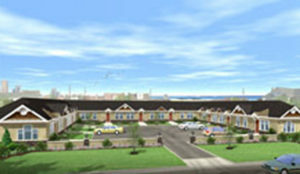 Unique building styles, public recreational areas and colorful landscaping will enhance the appeal of the property while its design will help make residents feel they want to spend all day at the Village. The 135-acre, 1 million plus square feet Village will be an authentic Town Center on Route 33 in Manalapan, NJ. Anchored by a supermarket and a Kohl’s, with a traditional Town Green at its center, the Village at Manalapan will offer residents several distinct public elements, all linked by beautiful pedestrian walkways, bikeways and interior roads. Unique building styles, public recreational areas and colorful landscaping will enhance the appeal of the property. The Village has been designed as a place where residents will want to spend the day doing a number of activities, both indoor and out, while interacting with one another. The JW Marriott Residences Loreto are 201 whole-ownership beachfront condominiums, located between the Sea of Cortez and a gorgeous mountain range near Loreto in Mexico’s southern Baja. With a combination of world-class luxury services and the beauty of Baja, a new standard of resort-style living awaits you. With more than 300 years of rich history, Loreto (the original capital of the Californias) provides the perfect lifestyle for residents of the resort. Sidewalk cafes, cantinas, a waterfront promenade and cobblestone streets are just the beginning of this magical Mexico. This complex is located along the rapidly-growing Route 33 corridor in the high income Monmouth County, New Jersey community. 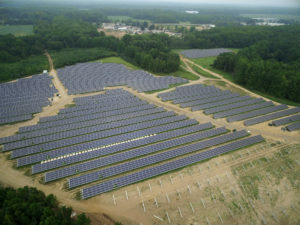 The complex consists of a 15,000 sq. ft. retail shopping center, a 9,800 sq. ft. high-end child care center, and two modern, well-appointed 7,500 sq. ft. professional office buildings. 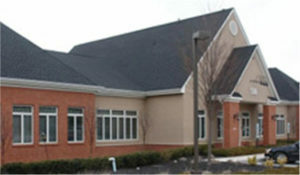 The Dugan’s Corner Retail/Office Complex is located on over 15 acres along the rapidly-growing Route 33 corridor in the high income Monmouth County, New Jersey community of Millstone Township. The complex, valued at over $8 million, consists of a 15,000 sq. ft. retail shopping center, a 9,800 sq. ft. high-end child care center, and two modern, well-appointed 7,500 sq. ft. professional office buildings. The Spano organization is headquartered here. Belmar is an offering of 11, 2-bedroom state-of-the-art condominium units located less than 1 block from the beach and boardwalk in beautiful Belmar, New Jersey. Belmar is an offering of 11, 2-bedroom state-of-the-art condominium units located less than 1 block from the beach and boardwalk in beautiful Belmar, New Jersey.This project will provides eleven fortunate families with the opportunity to create unlimited priceless family memories while owning their personal family vacation retreat just steps from renowned Jersey Shore. Deer Park is the perfect examples of how the right changes can influence growth in an existing project. After being acquired, occupancy and profitably of this storage facility have significantly increased. 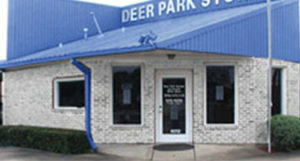 Deer Park is a 459 unit storage facility located in Deer Park, Texas a Houston suburb. This property was acquired as a turnaround project with an expansion possibility and real estate prices that now create a strong barrier to entry by any new competing facilities. Since taking over, installing a new management company and all new staff, and implementing a marketing and advertising plan, and making cosmetic changes to include new signage, we have increased occupancy by over 8% and increased profitability by almost 20% over original projections. 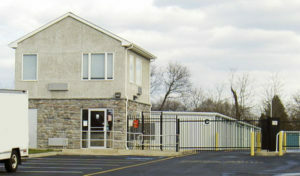 A 330 unit storage facility located in Manalapan, New Jersey built and operated by Spano Partners since 2004. Discreetly nestled in highly desirable North Scottsdale, Tuscany at McCormick Ranch is an intimately elegant village offering the ultimate in luxurious independent senior living. 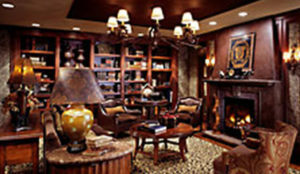 This distinctive community of 73 fashionable residences (80,000 rentable sq. ft) offers personalized services and attention to detail not found in larger communities. Discreetly nestled in highly desirable North Scottsdale, Tuscany at McCormick Ranch is an intimately elegant village offering the ultimate in luxurious independent senior living. 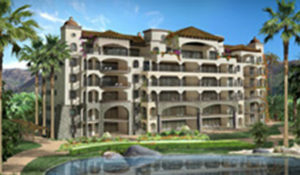 This distinctive community of 73 fashionable residences (80,000 rentable sq. ft) offers personalized services and attention to detail not found in larger communities. As a result, it enjoys a stellar reputation with a lengthy waiting list of interested prospective tenants and little competition in a wealthy demographic market. Built and managed by our Strategic Partner, Pinnacle Diversified LLC, the facility generates premium rents and a strong cash flow with excellent growth.